December is upon us and WNO is embracing the Christmas spirit already. We have a selection of festive events in Wales this week, so why not start the season early with us? 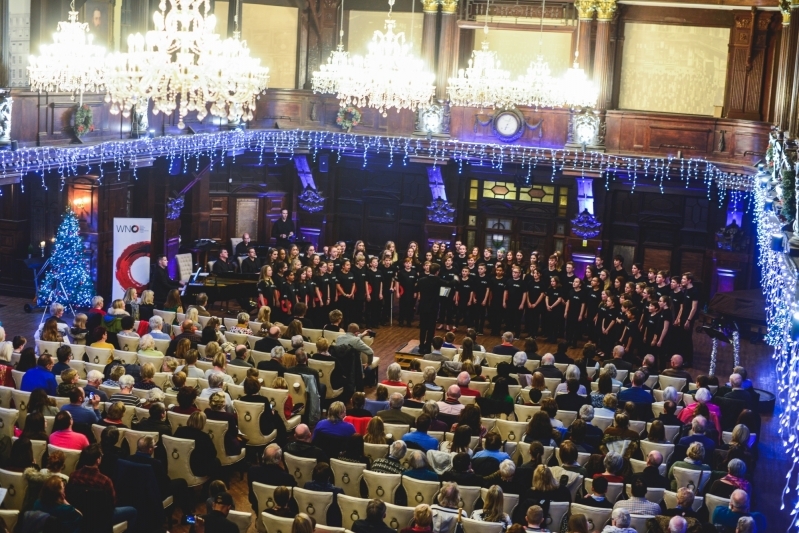 If you are in Cardiff come along to the Exchange Hotel, Cardiff Bay on Wed 5 December when we will have two performances of our Christmas Celebration concert featuring WNO Orchestra members, WNO Youth Opera and WNO Community Chorus South members. The concert will be a mix of traditional Christmas songs and carols and you will have the chance to join in - with the added incentive of mulled wine and mince pies! For those in North Wales, we are continuing our partnership with Venue Cymru and Theatr Colwyn and providing a sing-a-long session during the interval of their dementia-friendly film screenings. Their seasonal offering is White Christmas on Thu 6 December and the WNO North Wales team (Jenny Pearson, Annette Bryn Parri, Morgana Warren-Jones and Sioned Foulkes) will be there to provide the entertainment. We will also be at Pontio in Bangor on Sat 8 December where you can join us for a WNO Come and Sing Christmas carols session. Meanwhile, members of our performing Company, technical and backstage staff have just come back from Brno, and head straight into rehearsals for the Spring Season; some of the team have recently travelled to Bonn to collect the remaining elements of set for Spring’s Un ballo in maschera (and also to return the final pieces of La forza del destino); and colleagues across all departments are working on getting everything ready for our 2019/2020 Season announcements in the New Year. We may not be performing or touring, but it never stops at WNO, not even in the build-up Christmas!